Luke is responsible for the relationships Bloomberg NEF has with utilities & developers across Southern Europe and Africa. Previously Luke spent over 6 years tracking the transition in the energy sector as the manager of the firm’s flagship clean energy investment estimates as well as its technology cost (LCOE) estimates. Having worked at Bloomberg since 2011 Luke also has prior experience working on the firm’s main power markets model – the Global Energy and Emissions Model. Before joining Bloomberg, Luke spent time as an analyst in the defense, aerospace and power generation industries as well as a stint as an equities analyst. 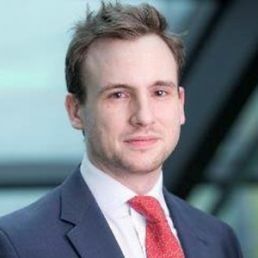 Luke has an MSc in Finance from the European School Economics, and is a CFA Investment Management Certificate holder. Now that clean power is cheap, focus within the power trilemma has moved to solving the issue of intermittentcy and how to provide clean forms of flexibility in a market that will efficiently remunerate these technologies. The energy transition is multi-sector. As a result, new collaborations are being forged between vehicle manufactures & power retailers, utilities & 'prosumers', TSO's & DSO's as well as Oil majors & Utilities. In search of growth, electric utilities are re-positioning themselves as technology firms and moving into the downstream sector. Investment has been flowing into home energy management platforms, smart EV charging, residential solar & storage, virtual power plants including demand response and peer to peer trading.